Ok can. U at which staircase? Ya whole day liao wa kao. Rhythm of the night all these also come out. I went to SPC once. I cannot stand the stuffiness of the poker area, and so much smoke. (altho im a smoker). And very giddy, keep shaking.. The table so small and chair so small. super cramp. Jialat. Last time i host 5/10 games but stopped due to the usual credit problems. And so many raids, players scared hosts also scared, dealers also scared. Midview city poker room raid 3 years ago, recently still gana called up for sentence. I prefer cash games in cambodia siem reap, 2nd choice phnom peh. I play in Vietnam often, love the food etc. I have an apartment there as well so more convenient. Philippines sometimes, dont like the food and traffic, but very hot place for tourney kakis nowsdays, this AUg drew 800+ players there... Record breaking. I just started playing tournaments anyway, abit shoik on the fame factor, when people start approaching you and interviews.. HAHAHA. But variance still very high.... need manage bankroll very well, i got family already cannot play play. Poker i play 20c/40c online. I dont know about that moron $1 huha. Even tho dont hiew him, he still keep haunting like a dog. SO long i havent post, just posted about where to repair car, he came with some retarded irrelavant reply. He think he do office very SAT KI, always talk on how he shortchanged Grab/Uber player. Confirm outside useless like dog, come here wanna show off thought he is TOP of the top here. Trying too hard to balance his self esteem. online?? pppoker or kkpoker or cardclub? How tight? whats ur vpip/pfr? Below 25 or above 40 is easily exploitable already. Last edited by swainchua; 10-08-2018 at 06:46 PM.. 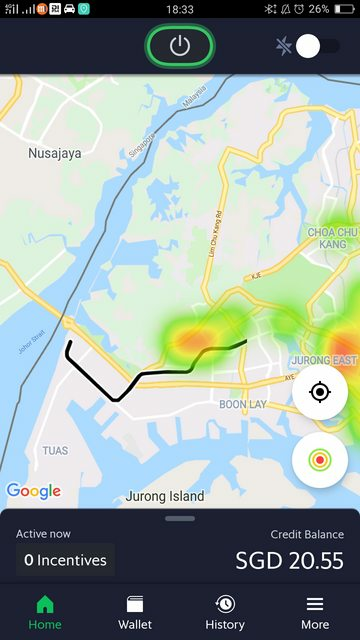 Most grab drivers are gamblers also? ?